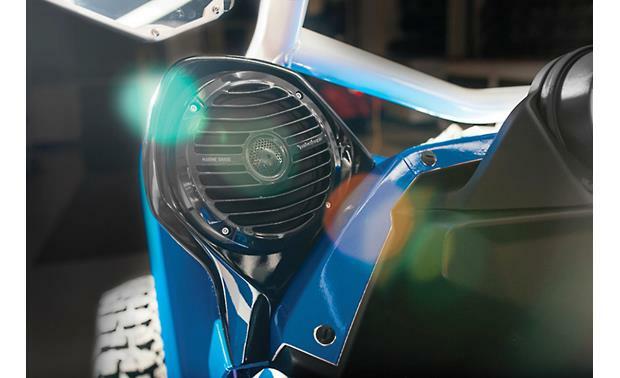 Ready to upgrade the audio system on your Yamaha YXZ? 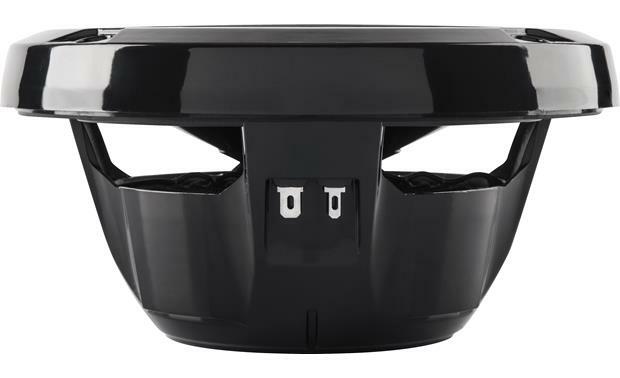 This rugged package contains high-performance Rockford Fosgate Prime RM1652B marine 6-3/4" speakers along with rugged enclosures that mount in the upper dash (minimal drilling required). 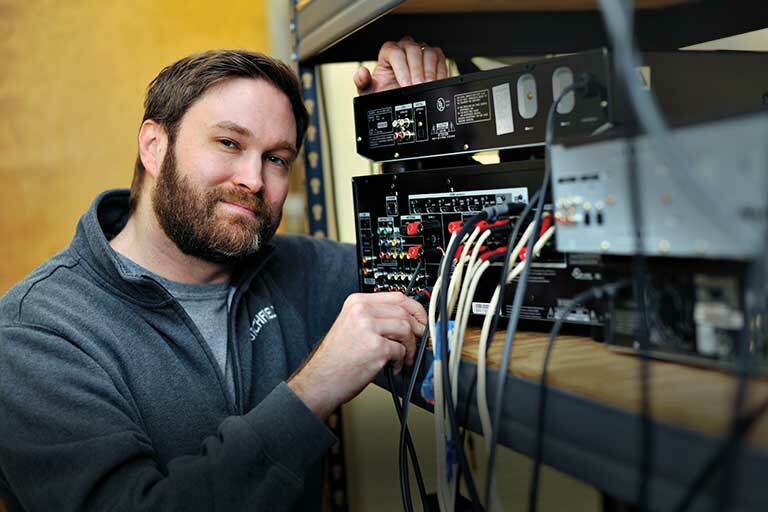 Direct-connect, YXZ-specific wiring harnesses are also included. Made from a compression-molded and fiberglass-reinforced polymer, the enclosures are a perfect match for your YXZ and they'll stay that way, thanks to a UV-resistant finish. As for the speakers, they feature UV-treated polypropylene cones and durable Santoprene rubber surrounds, along with rugged grilles that stand up to blistering sunlight and damaging moisture. A 1" dome tweeter built into each grille handles the high frequencies. 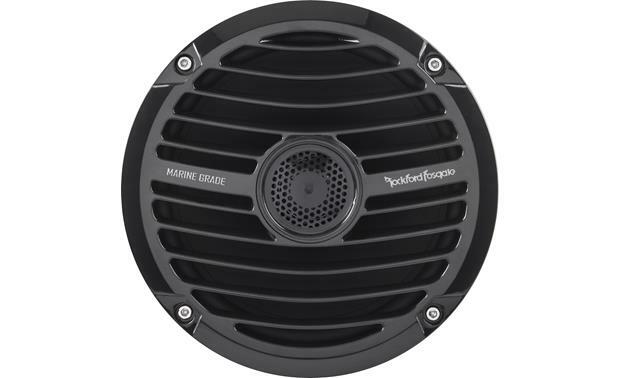 Marine Rated Speakers: The Rockford Fosgate RM1652 marine rated speakers utilize 1" dome tweeters that are made of LCP (liquid crystal polymer), a high strength/light weight material, die cast into a volcano design. The tweeters are bridge mounted, useful in a marine speaker because no opening through the middle of the woofer for the mounting post is needed. The woofer cones are injection molded, mineral filled polypropylene with UV inhibitors. This molding process assures a uniform cone thickness for superior linearity and clarity. It is also light weight and rigid for decreased distortion and improved bass response. ICC Crossover: The ICC (Integrated Concealed Crossover) simplifies installation and protects the crossover by concealing it inside the basket, creating a cleaner look and easier installation. The crossover is 6 dB/octave high pass. Infinite-Baffle Operation: The speakers are designed for infinite-baffle operation and can be installed in a variety of locations, without the need for a dedicated enclosure. 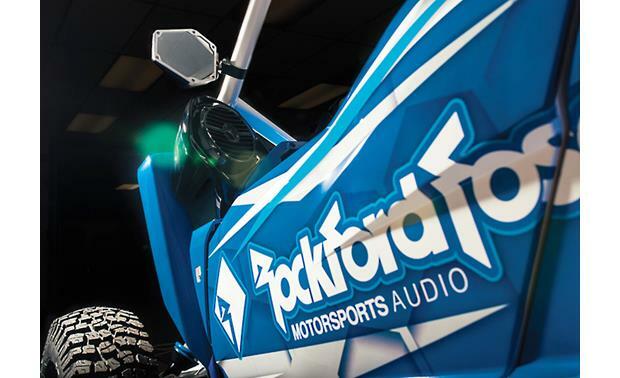 Note: Rockford Fosgate uses industry standard tests (ASTM B117 salt/fog and ASTM D4329 sunlight, moisture, and heat) to ensure the RM1652 speakers will provide optimum performance in the difficult marine environment. The mounting hardware is stainless steel to resist corrosion. 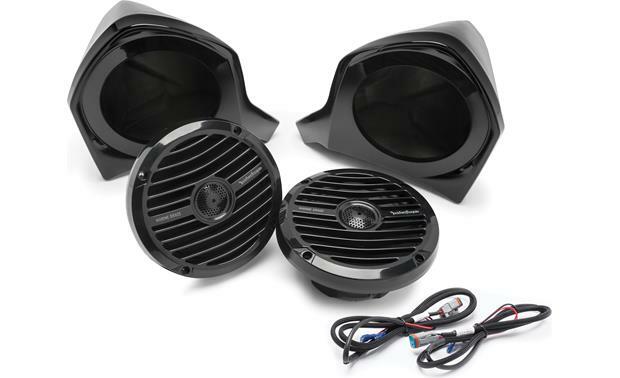 Front Upper Speaker Enclosure: The two compression molded fiberglass reinforced polymer speaker enclosures with UV resistant finish are optimized for the two included Rockford Fosgate RM1652 Marine speaker and mount perfectly in a compatible Yamaha YXZ model ATV. 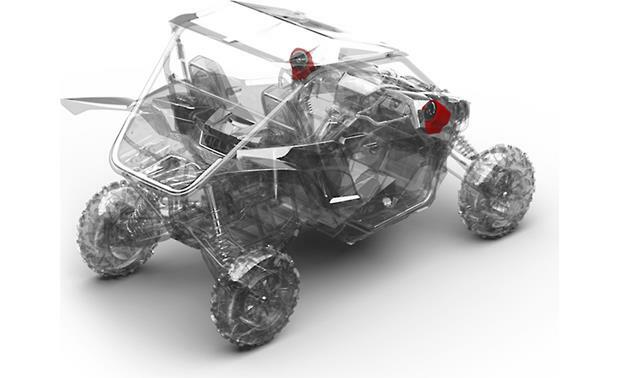 They are designed to match the Yamaha YXZ ATV's texture and color, plus mount in factory locations with minimal disassembly and drilling. 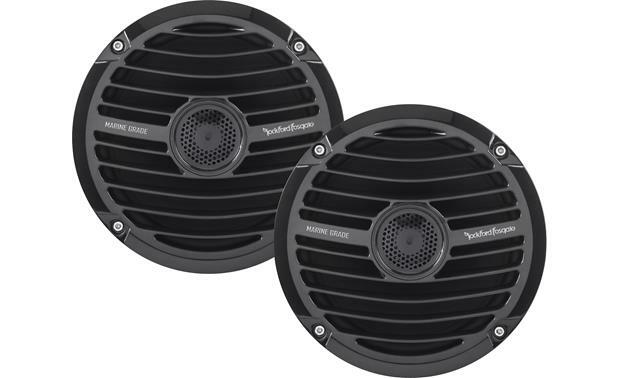 Searches related to the Rockford Fosgate YXZ-UPPER Prime RM1652B marine 6-3/4" speakers and upper front enclosures for select Yamaha YXZ models (pair).